Researchers will soon be able to access institutional and private archives dating from the late 1800’s to the present at Boğaziçi University’s new Archives and Documentation Center to be housed in the “Nafi Baba Culture and Global Values Building” located on the historical hilltop of the University’s South Campus. Restoration work is underway at the building once known as “Nafi Baba Tekkesi”. The building itself as well as the Archives and Documentation Center it houses will enhance the academic and cultural value of Nafi Baba hill. 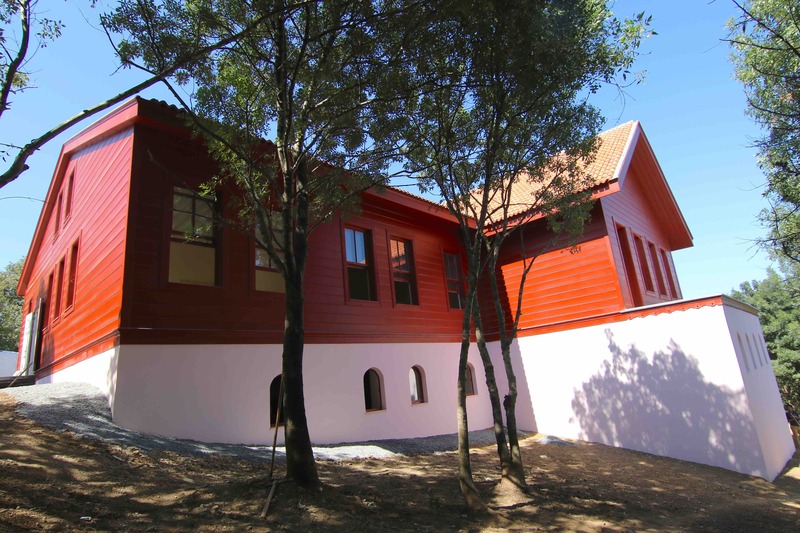 Archival records, academic materials, articles from national and international press, publications as well as visual and audio material to be compiled, preserved and archived at the Center will constitute the institutional and collective archives of Boğaziçi University, Robert College and the American College for Girls, and will be accessible to researchers. In addition, the Center is also planning to conduct oral history interviews with persons who may be able to contribute to the formation of Boğaziçi University’s institutional memory. Such an archive that brings together the cultural legacies of these institutions will shed light on education, politics, and social and daily life in the 19th and 20th Centuries. Associate Professor Cengiz Kırlı of the Atatürk Institute for Modern Turkish History is the Coordinator of the Archives and Documentation Center. The Executive Board of the Center comprises Prof. Ali Tekcan, Provost; Hatice Ün, Director of the Library and Documentation Department; Prof. Edhem Eldem of the History Department; and Associate Prof. Zafer Yenal, Head of the Culture and Arts Committee and lecturer at the Sociology Department. Furthermore, the Center also aims at digitizing and cataloging personal collections and archival materials donated to or acquired by Boğaziçi University in such disciplines as history, archeology, political science, architecture, and literature. The rich content and quality of the archives will encourage new research in diverse disciplines and arts. Prof. Kırlı argues that from the Ottomans to the present day, building archives has not been a part of our culture. With a few exceptions, says Kırlı, archives in Turkey are inadequate and very limited. As for private archives, there are few, if any. In many countries, building private archives had flourished among the nobility, particularly among those who had occupied high positions. Around the beginning of the 19th Century, the bourgeoisie also started to compile personal archives. In Turkey, however, bourgeois families could not transfer their wealth or any family archives to the 20th Century. In addition, in the 20th Century, wealthy families, artists and intellectuals or their heirs who had private archives were reluctant to open them to the public. Consequently, attempts to set up private archives in Turkey did not amount to much. In this context, Kırlı says, the archival work to be carried out at the Center will lead to the development of a new culture of historical research that will clearly set forth the relationship between the institutional and the private.